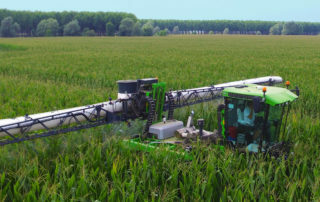 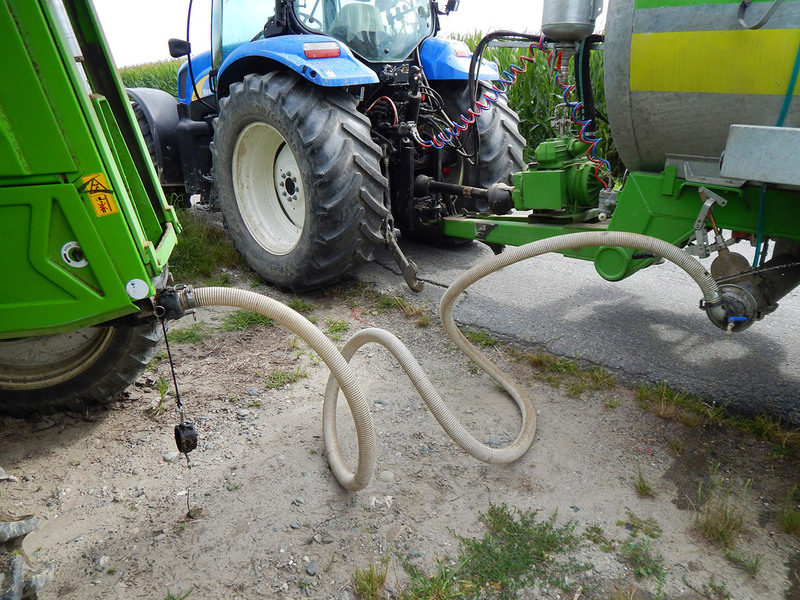 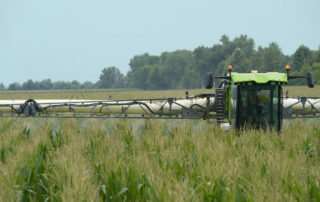 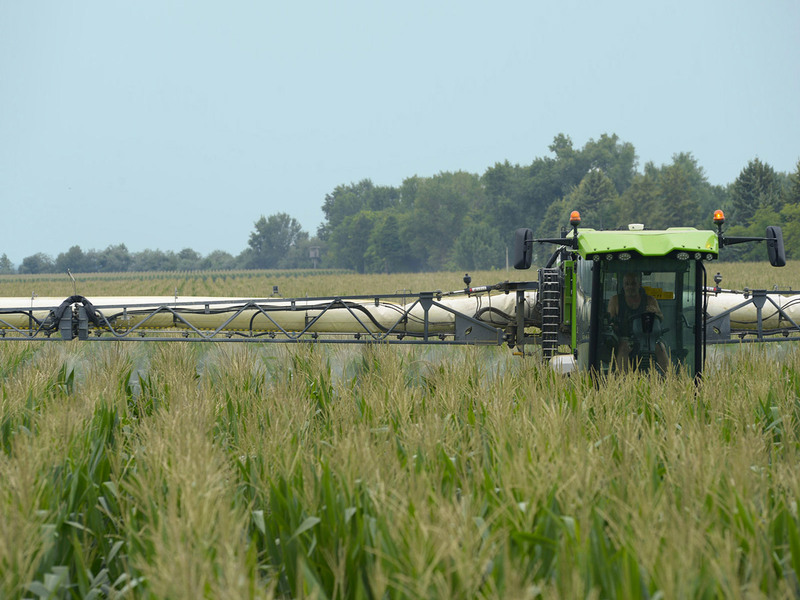 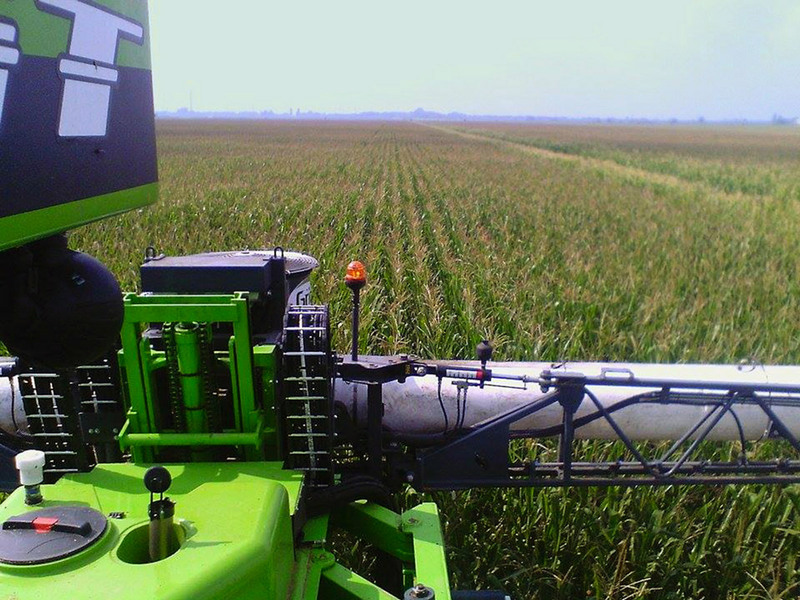 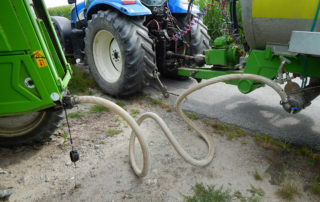 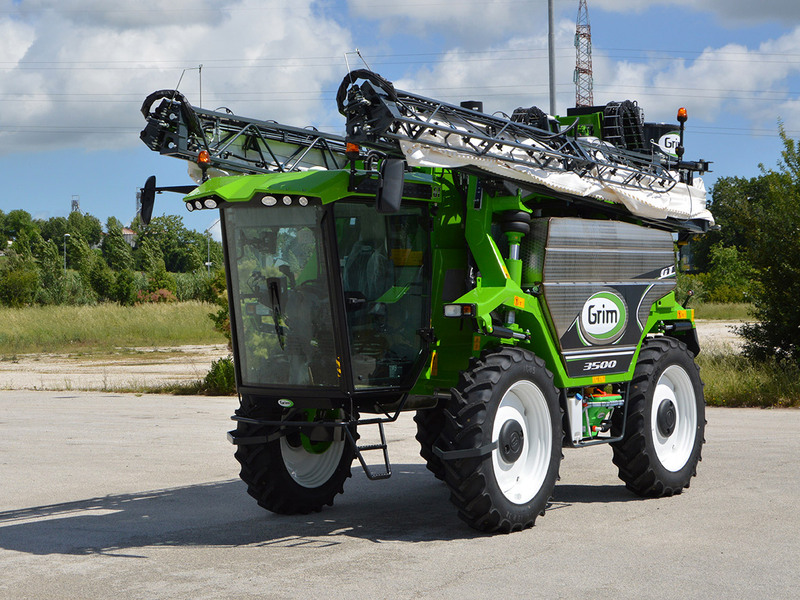 The GT is a professional multi-purpose self-propelled stilt sprayer. 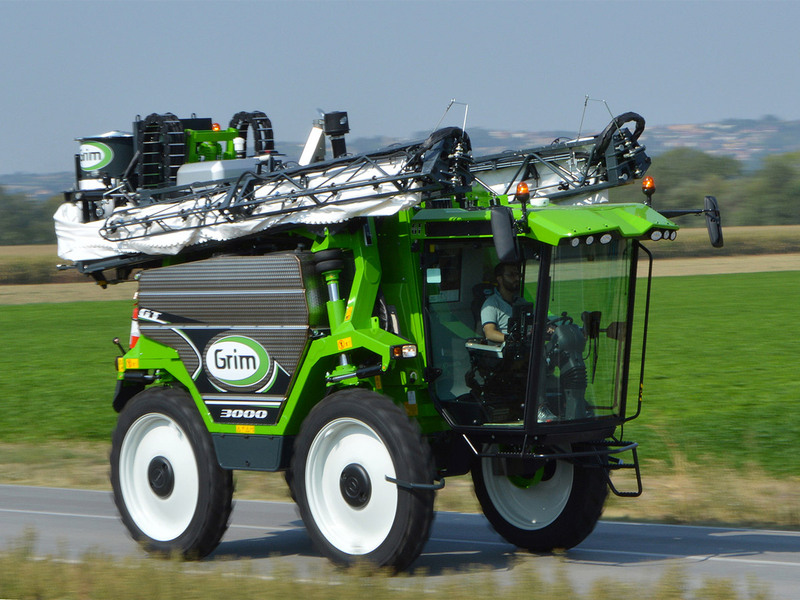 Hydraulic wheel track width hydraulically adjustable from the cabin from 2100 to 3000 mm. 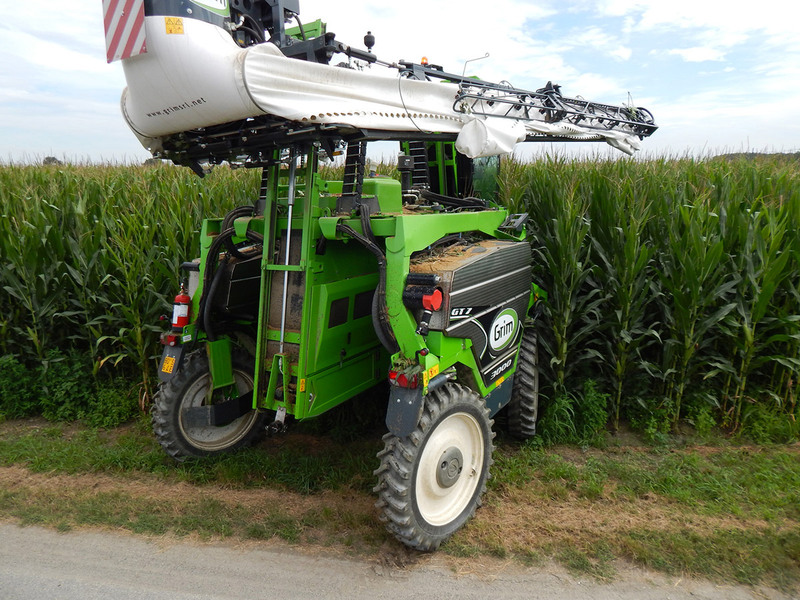 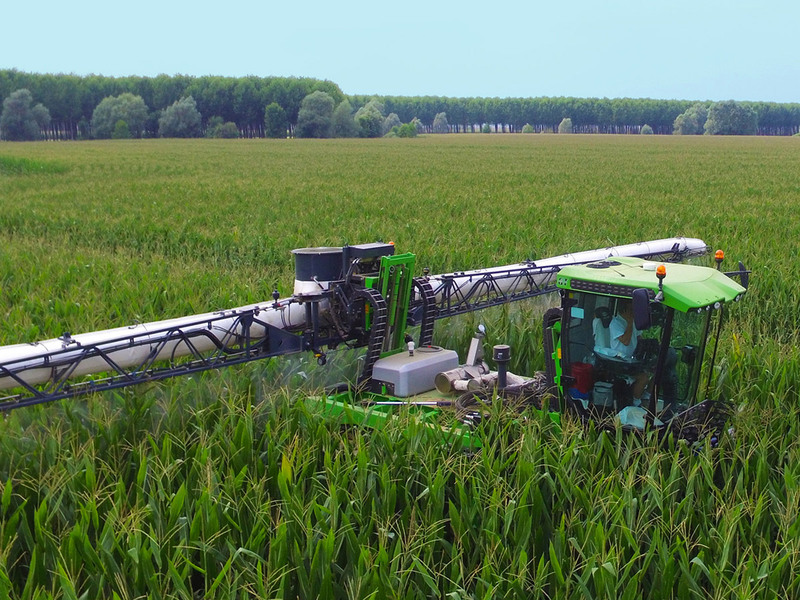 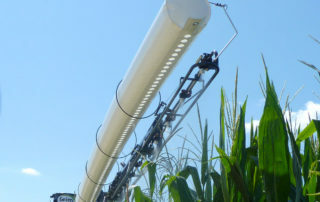 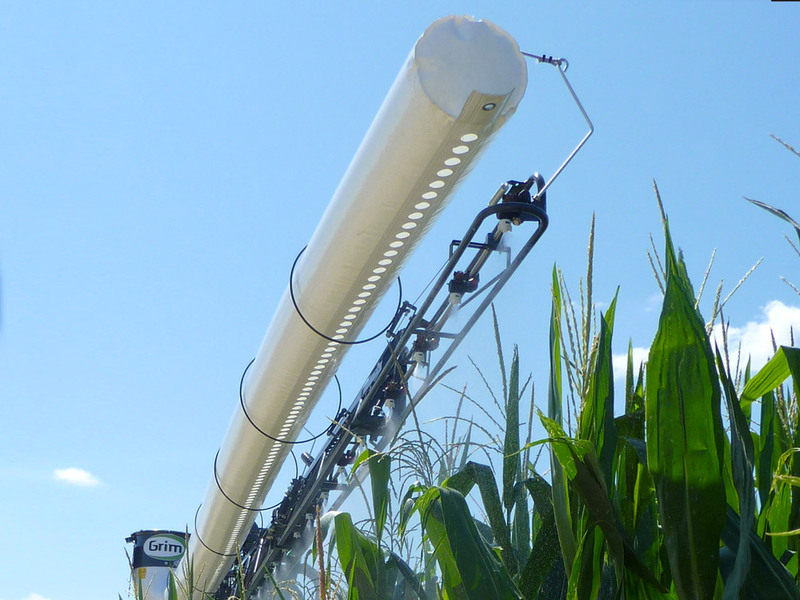 Cabin and boom adjustable in height on vertical rails allow to spray crops higher than 2,5 m, like corn, tobacco, etc. 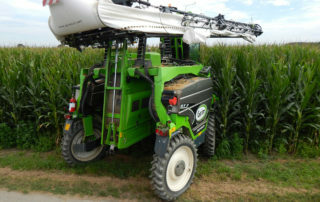 4-wheel drive hydrostatic transmission with Poclain hydraulic motors at the wheels. 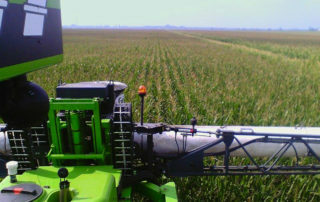 3500 L spray tank. 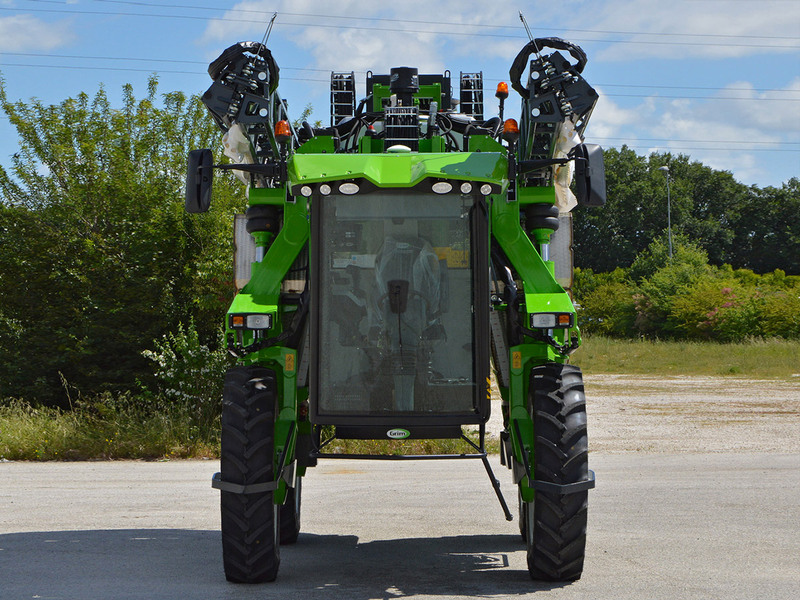 The diesel engine TIER 4 Final / StageIV, 4 cylinder, placed in the center of the machine and the combined pneumatic + hydropneumatic suspension system, make it a safe and professional machine for every use. 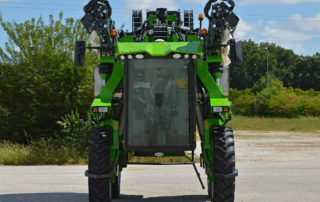 4-wheel drive transmission with hydraulic motors at the wheels. 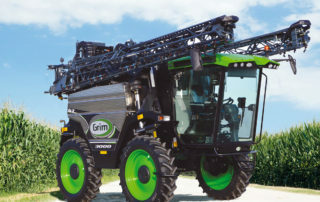 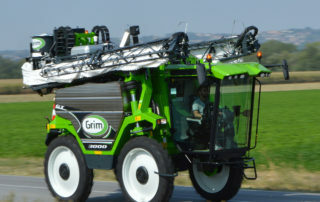 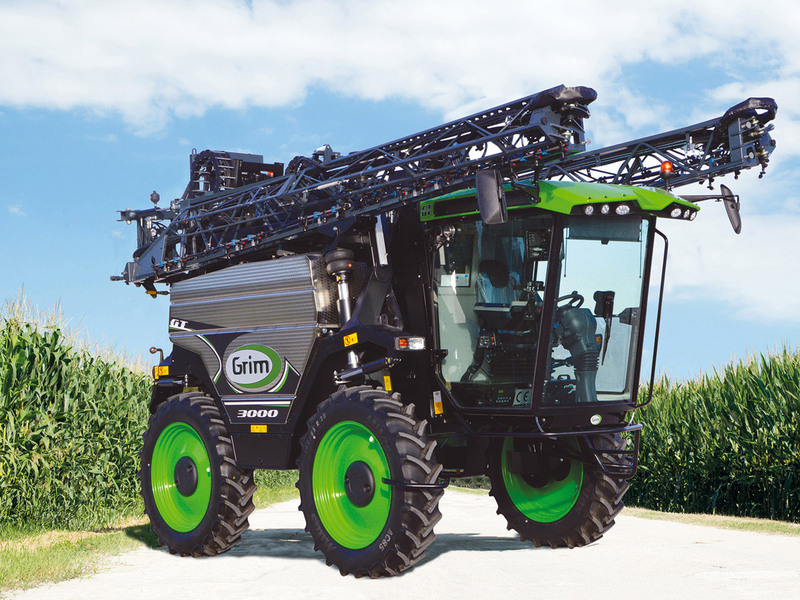 GRIM Srl is a company specialized in designing, manufacturing and marketing of self-propelled sprayers, specifically conceived for high and low crop treatment.